We often get asked how to properly light our artwork. 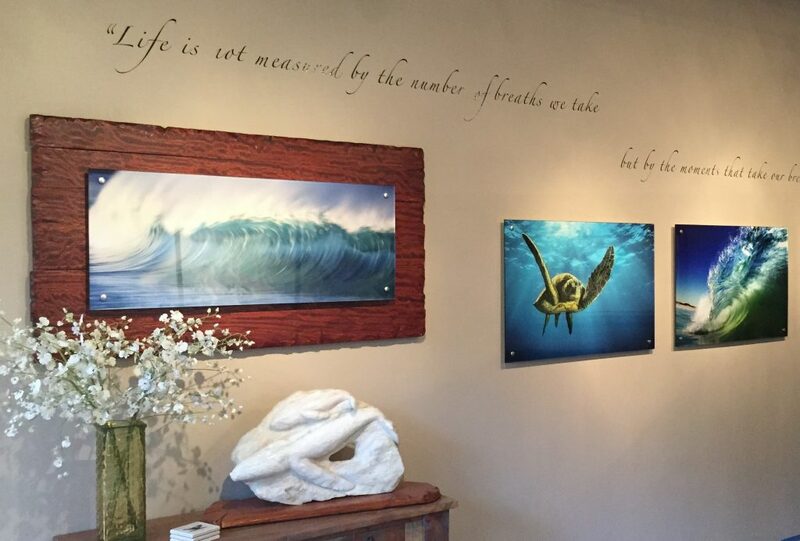 When artwork is lit well, it becomes the focal point of the room and can look lit from within. There are many ways to light art, this is the method we prefer. 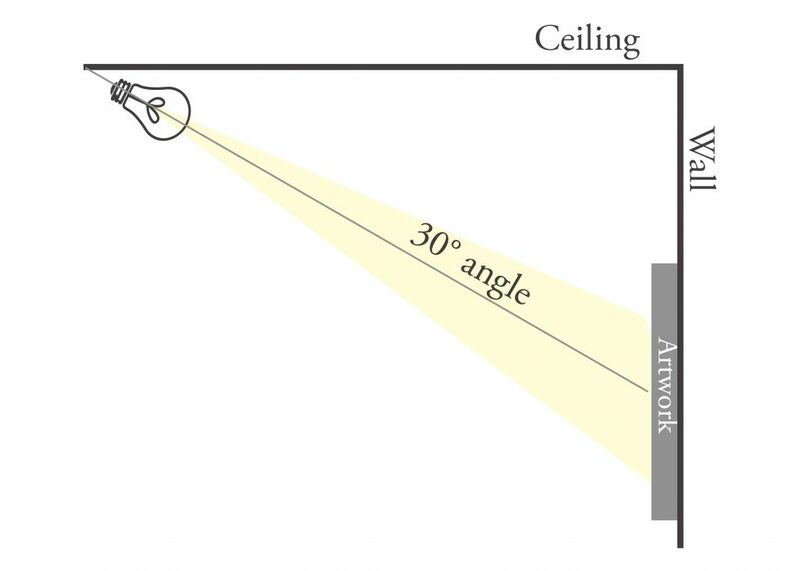 Based on your ceiling height and artwork hanging height, angle the light down at a 30° angle to reduce glare. Cross directional lights mean wider spread of light, less hot spots, more even coverage. Once you have determined the distance from the art to install your lights, you need to determine how many lights are needed. Our rule of thumb is pieces 40″ and less in width require only one light, 60″ wide requires two lights, and 80″ wide requires three, 100″ requires 4 lights. This is a good starting point, adjust for your specific location and lighting type. Generally, LED bulbs are preferred for artwork because they provide little to no heat or UV damage to the art. Look for a color range of 3000-4200 K (Kelvin) often called “Bright White” (3000) and “Cool White” (4100) to provide the most accurate color. We utilize track lighting in the gallery because we have many pieces on our walls, change our displays frequently and they allow the greatest range of motion. In residential settings, recessed can lights are more popular. Look for a style with an adjustable eyeball that can angle down to meet your need of 30°, like these or these. If overhead lighting isn’t an option due to installation or ceiling height issues, try art lights like these from Modulightor or Academy Light. Enjoy your new, fabulously lit art!